really. But let me ask, do you use Pinterest? Save those recipe videos for a someday dinner? Truth is we look in a wide variety of places for inspiration. But in preparing for this study, I learned that there is only one source of true inspiration ... God. If you had to describe it, what would be your definition of “inspire”? Let’s take a look at how the Bible talks about our root word, inspire. To begin, “inspiration” is the only form of the word inspire used in the KJV Bible, and it is only used twice. In 2 Timothy 3:16 and Job 32:8. The Greek word used here is theopneustos, which means breathed out by God. This verse is the only time this word occurs in the Bible. It literally means, all Holy Scripture is breathed out by God. Nothing else is divinely inspired like the Scriptures, they are as if God spoke them out directly to us. Here, Job uses the Hebrew word neshamah which means the breath of God. Interestingly, the same Hebrew word appears 23 times in Scripture and always refers to the life giving breath of God. In Genesis, we see that God’s breath brings life. In Job, we learn that the spirit within us (the Holy Spirit) in combination with the inspiration of God (the life giving breath) gives us understanding and discernment. ​The breath of God which brought Adam to life is the same divine inspiration within us which bring the scriptures to life. Soul Inspired Bible Study is all about spending time in the scripture with God and allowing the Holy Spirit to give us understanding. 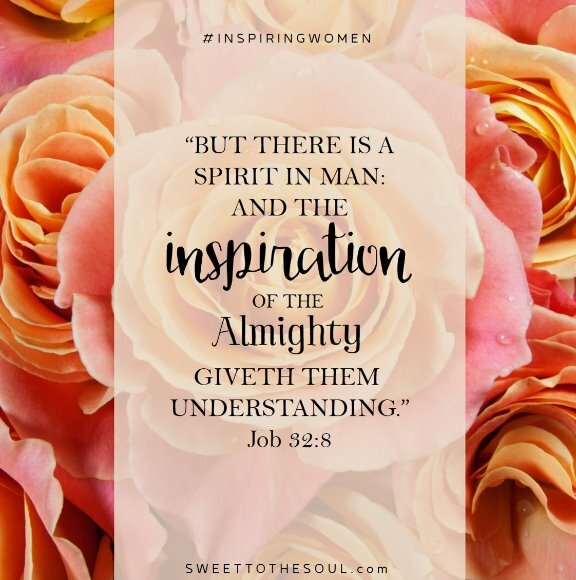 When we do this, and live in accordance with God’s teachings, it allows us to be women who inspire and influence generations for the kingdom. 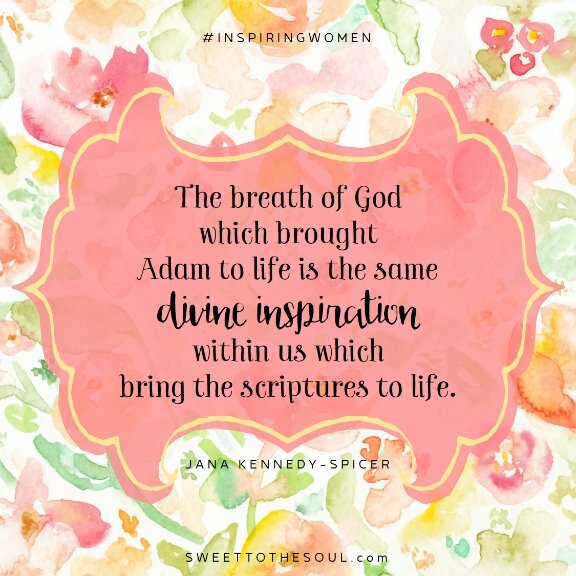 Has there been a special woman (or women) who has inspired your spiritual walk? 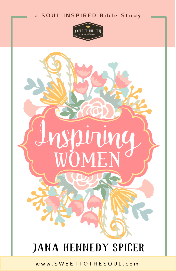 As we work through this study and spend time in the scriptures each day we are going to learn about 31 ways we can be inspiring women also. In truth, women carry great influence, especially over the next generation. Even while they are still in diapers or toddling around the house we are raising little people who will one day become adults who will be influencers of the next generation. And know this, you don’t have to be a person’s parent to have an influence in their life. Some of my greatest influencers were not even family. It’s a decision each of us have to make. But for sure we must be intentional in our efforts. Is there someone specifically you want to influence for the Kingdom? Let’s make a commitment right now to be Kingdom influencers! Dear Lord, we thank you for your life-giving breath in our lungs and for the divinely inspiring breath in our souls. As we study your Word, we ask for the understanding that only you can give. We ask for your direction in how we should walk and what we should do so that we may be Kingdom influencers of generations to come. In Jesus’ name, Amen. I've definitely had women in my life who have inspired me & want to pay that forward & inspire others to serve the Lord!